At its best, Lost rips your heart out while it ties your brain in a knot. This season 4 episode did both expertly. 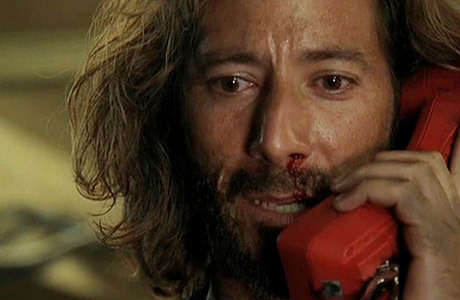 Desmond (Henry Ian Cusick) has been experiencing premonitions of the future since becoming "unstuck in time" (a la Slaughterhouse Five) earlier in the series. It turns out that he's been time-traveling, or rather, his mind has: his consciousness is journeying between present, future and past. (It makes sense when you watch, trust me.) The unfortunate side effects of this condition are madness and death, avoidable only by focusing on a "constant": a person or thing present in each time one's consciousness visits. Desmond's constant, he learns, is Penny (Sonya Walger), the girlfriend he left behind when he was stranded on Lost's mysterious island. His journey into his own past to find her in the present is tear-jerking and mind-blowing. Next The Shield, "Family Meeting"